Ferrari says its decision to switch to a matte red paint finish this year has been done for pure performance reasons. At the launch of its new SF90 at Maranello on Friday, the Italian outfit revealed a new darker matte colour, having moved away from its traditional gloss finish. But rather than this having been done to simply make the car look better, team principal Mattia Binotto says that the inspiration for the move was to help reduce the car weight – as the matte finish weighs less. "The reason is not aesthetic, but exclusively technical," explained Binotto. "Eliminating the shiny element gives us a few hundred grammes, which may not sound like much, but when you push everything to the limit even this has an effect." 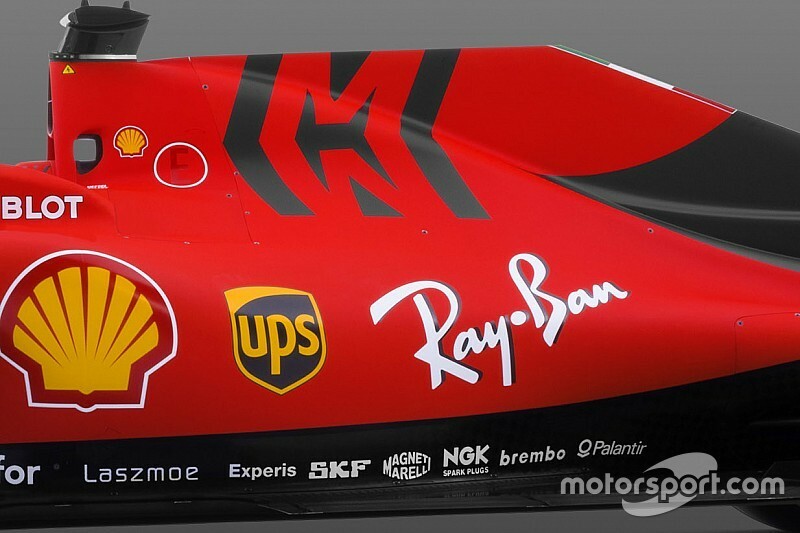 Ferrari is not the only team to change its paint scheme for a laptime gain, with Red Bull having famously moved to a matte finish in 2016 for weight saving reasons. The team also has a unique way of painting its car to ensure a totally smooth surface that minimises the chances of any drag from sponsor logos. Reflecting on the wider car design, Binotto says that every element of the car has been improved or changed – even though the car is a development of last year's concept. "It is clear that we pushed to improve every detail," he said. "I think that there is not a single piece the same as 2018. "Push it means to try to go beyond previous limits, and those that we have achieved, I think they are very close to the natural limits of the car."